Best Britax Strollers – Which One Is Right For You? If you’re here looking for information on the Best Britax Strollers, you’ve come to the right place! 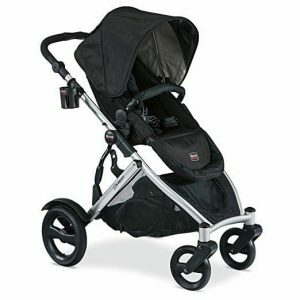 Britax is a leading manufacturer of strollers, travel systems and infant car seats. 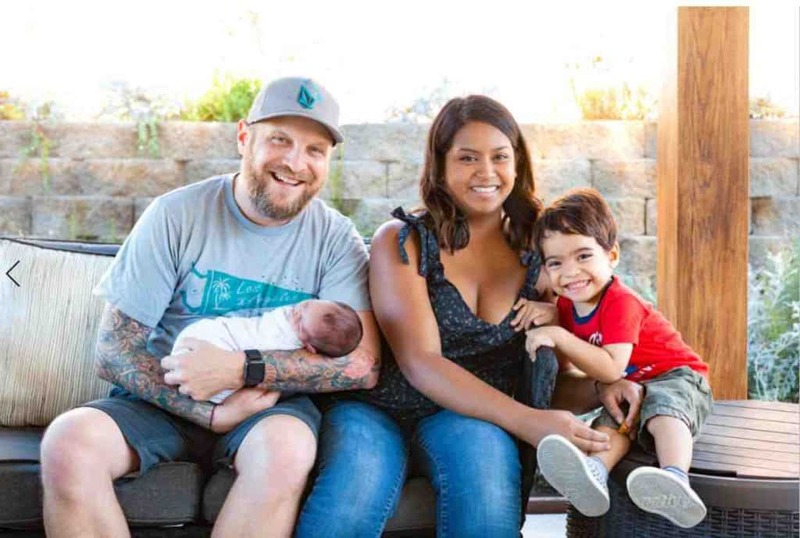 With over 70 years of experience to its, the Britax brand has become a household name in the US and several other countries. Fun Fact: The term Britax originated by fusing the two words – British Accessories. The brand is renowned for prioritising safety, quality and intelligent design. It’s no wonder then, that Britax products set the industry standard in terms of Side-impact and Safe-cell impact protection. Described below are 6 of the BEST Britax strollers on sale in the USA. Read on to find out which is the best for YOU! The stylish and comfortable Affinity stroller is suitable for kids 6 months and up to 55 pounds. It can be used from birth when combined with a Britax infant car seat or bassinet. • Nothing to dislike about it. The B-Free has a 3-wheel configuration to ensure superb maneuverability. Parents love this model as it has not 2 or 3 but SEVEN storage compartments and a large storage basket underneath the seat! • All-terrain rubber tires make light work of rough surfaces. Usually such tires require a bit of maintenance but these never go flat. • Click-n-Go adapter for all Britax car seats. • Very hard to find fault with this model. Thanks to a lightweight aluminum chassis, the B-Agile 3 weighs just 16.5 pounds. 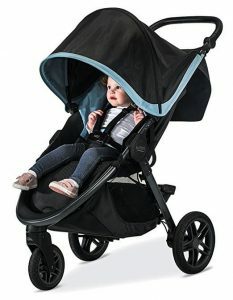 The stroller is suitable for use from birth up to 55 pounds. • This model has a larger foot-well for added comfort. This is the lightest, most maneuverable and the best-selling Britax stroller ever! It weighs just 18 pounds (2017 model) and comes with a 2 year warranty. If you’re looking for a lightweight stroller, you can’t go wrong with the B-Agile! • Mesh ventilated canopy – facilitates air flow. Caregiver can keep an eye on the kid. This stroller is best described by the word ‘versatile’. It’s modular design easily converts into a double (inline) stroller if required. (Britax has a second seat accessory and lower car seat adapter for this model.) With 14 different seating configurations, this stroller is truly ‘ready’ for almost everything. • Compatible with other popular brands of infant car seats too – adapter required. • Second seat is not comfy with a bassinet attached to the frame. • Very easy to push, carry and fold. Closes in seconds! As you can see, Britax is a trusted and proven brand; most products have rave reviews. We hope that you enjoyed going through the best Britax strollers in the USA. We have loads of info on other brands as well. Our research helps parents to make the right choices for their family.